Brain atrophy, the loss of brain tissue is a normal part of aging, but MS accelerates the process. Such atrophy is a critical indicator of physical and cognitive decline in MS, yet because measuring brain atrophy is expensive and complicated, it's done primarily in research settings. According to the UB researchers, being able to routinely measure how much brain atrophy has occurred would help physicians better predict how a patient''s disease will progress. It could also provide physicians with more information about how well MS treatments are working in individual patients. These and other benefits were outlined in a recent review study the researchers published in Expert Review of Neurotherapeutics. "Measuring brain atrophy on an annual basis will allow clinicians to identify which of their patients is at highest risk for physical and cognitive decline," said Robert Zivadinov, professor of neurology and director of the Buffalo Neuroimaging Analysis Center in the Jacobs School of Medicine and Biomedical Sciences at UB. Over the past 10 years, he and his colleagues at UB, among the world's most prolific groups studying brain atrophy and MS, developed the world's largest database of magnetic resonance images of individuals with MS, consisting of 20,000 brain scans with data from about 4,000 MS patients. The new tool, Neurological Software Tool for Reliable Atrophy Measurement in MS, or NeuroSTREAM, simplifies the calculation of brain atrophy based on data from routine magnetic resonance images and compares it with other scans of MS patients in the database. Without measuring brain atrophy, clinicians cannot obtain a complete picture of how a patient''s disease is progressing, Zivadinov said. 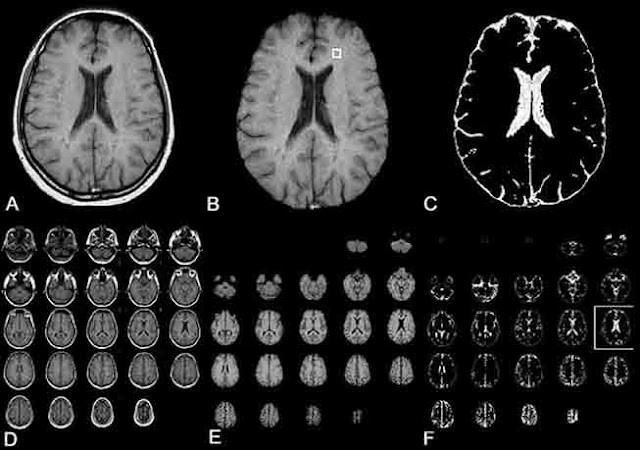 "MS patients experience, on average, about three to four times more annual brain volume loss than a healthy person," he said. "But a clinician can''t tell a patient, 'You have lost this amount of brain volume since your last visit.''" Instead, clinicians rely primarily on the presence of brain lesions to determine how MS is progressing. "Physicians and radiologists can easily count the number of new lesions on an MRI scan," said Zivadinov, "but lesions are only part of the story related to development of disability in MS patients." "While the MS field has to continue working on solving challenges related to brain atrophy measurement on individual patient level, its assessment has to be incorporated into treatment monitoring, because in addition to assessment of lesions, it provides an important additional value in determining or explaining the effect of disease-modifying drugs," Zivadinov and co-authors wrote in a June 23 editorial that was part of a series of commentaries in Multiple Sclerosis Journal addressing the pros and cons of using brain atrophy to guide therapy monitoring in MS.
"The ventricles are a surrogate measure of brain atrophy," said Michael G. Dwyer III, PhD, assistant professor in the Department of Neurology and the Department of Bioinformatics in the Jacobs School of Medicine and Biomedical Sciences at UB. "They're the canary in the coal mine." "Usually, you need high-resolution research-quality brain scans to do this," Dwyer explained, "but our software is designed to work with low resolution scans, the type produced by the MRI machines normally found in clinical practice." To successfully measure brain atrophy in a way that's meaningful for treatment, Zivadinov explained, what''s needed is a normative database through which individual patients can be compared to the population of MS patients. "NeuroSTREAM provides context, because it compares a patient''s brain not just to the general population but to other MS patients," said Dwyer.